Limit to Liability: Tropic Water is not liable for any property damage or injury potentially caused by five gallon bottles or water dispensers. Bulk and Commercial Rates Available! Please call 873-0007 or email sales@tropicwater.com to set up a walk-through of your property or office to see how Tropic Water Water company can improve upon your bottled water delivery service. Tropic Water specializes in bulk Hawaii bottled water service to Hotels, Resorts and Businesses in Kaanapali, Kihei, Wailea, Kahului and Wailuku. 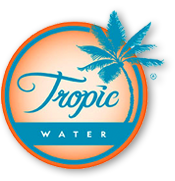 Tropic Water will match your current delivery pricing and guarantee better service. Tropic Water has convenient customized billing options for any business request. Being Maui’s only bottled water delivery service who bottles on Maui, Tropic Water has an inherent service advantage. Tropic Water offers a wide variety of Home & Office Filtration Solutions to fit your needs.